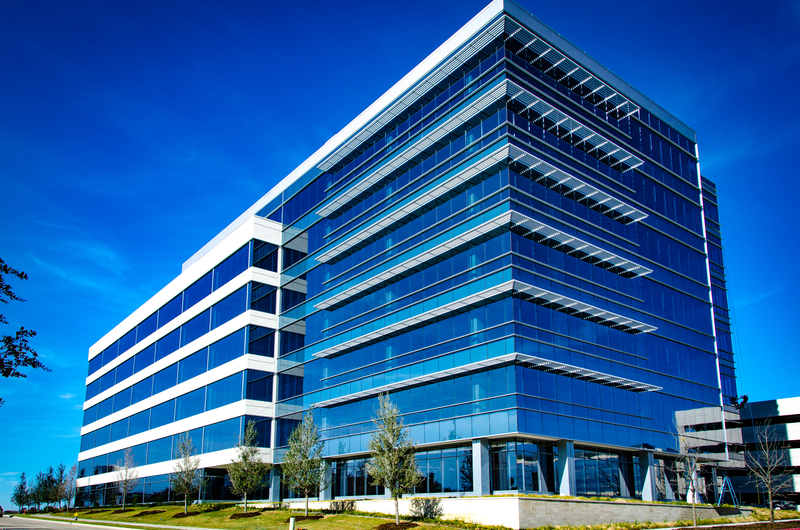 FRISCO – (Realty News Report) – A strong start to leasing activity in The Offices One at Frisco Station opens the door for starting another office building before the end of the year in Frisco Station, one of the hottest construction zones in the nation. Designed by Dallas-based HKS, the new seven-story, 230,000-SF office building just signed 60,000 SF in new leases. “Work on the second building within The Offices at Frisco Station could begin before the end of the year,” said Geoff Meyer of Kansas City-based VanTrust Real Estate, the developer of the building. VanTrust is a partner in the $1.8 billion mixed-use Frisco Station development with Hillwood and the Rudman Partnership. Located north of Dallas, the 242-acre Frisco Station is adjacent to the Dallas Cowboy’s Star Complex near the Dallas North Tollway. Also under construction at Frisco Station are two hotels from NewcrestImage, operating under the Marriott brands AC Hotel (eight stories,150 rooms) and Residence Inn (seven stories, 150 rooms); Hillwood’s Station House, a 300-unit, urban-living multifamily complex; and Novare Group’s SkyHouse, a 25-story, 332-unit residential tower that will be the tallest building in Frisco. Ultimately, plans call for a total of 5.5 million SF of office space, 650 hotel rooms, 2,400 apartments, nearly 30 acres of parks and trails, and 300,000 SF of retail, restaurant, and entertainment space. Equinix. The global data center giant that recently acquired the landmark Infomart building in Dallas has signed on for the full third floor, or about 37,000 square feet. It was represented by Chris Herrmann and Haynes Strader of CBRE. Executive Workspace. The Dallas-based executive suites/coworking operator has taken 17,000 square feet on the building’s first floor. It was represented by Giovanni Palavicini, president of Fronteras Commercial Real Estate. VanTrust Real Estate. The office building developer will occupy 5,000-SF for its Dallas regional office. “It’s an added bonus for tenants to have ownership on site,” said Clint Madison of Cushman & Wakefield. He and C&W colleagues Chris Taylor and Johnny Johnson represent VanTrust for leasing of The Offices One at Frisco Station.